Set interface extends Collection interface. In a set, no duplicates are allowed. Every element in a set must be unique. You can simply add elements to a set, and duplicates will be removed automatically. HashSet is Implemented using a hash table. Elements are not ordered. The add, remove, and contains methods have constant time complexity O(1). TreeSet is implemented using a tree structure(red-black tree). The elements in a set are sorted, but the add, remove, and contains methods has time complexity of O(log(n)). It offers several methods to deal with the ordered set like first(), last(), headSet(), tailSet(), etc. 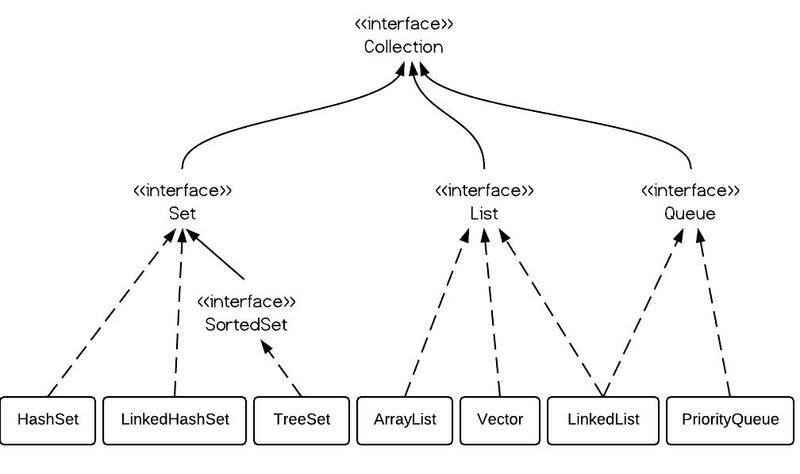 LinkedHashSet is between HashSet and TreeSet. It is implemented as a hash table with a linked list running through it, so it provides the order of insertion. The time complexity of basic methods is O(1). Note: the order is not certain.